Black Tern (Chlidonias niger). Taken at Farmoor, Oxon., on May 24th 2018. Taken at Farmoor, Oxon., on May 24th 2018. The Black Tern is a small tern with an all-black head and body, contrasting with grey wings, back and tail in spring. Autumn birds have grey upper parts, white underparts and distinctive black head markings. It is a passage migrant in the UK, moving between its wintering grounds in Africa and its breeding grounds in northern Europe. It breeds in freshwater marshes with patches of low, floating vegetation. 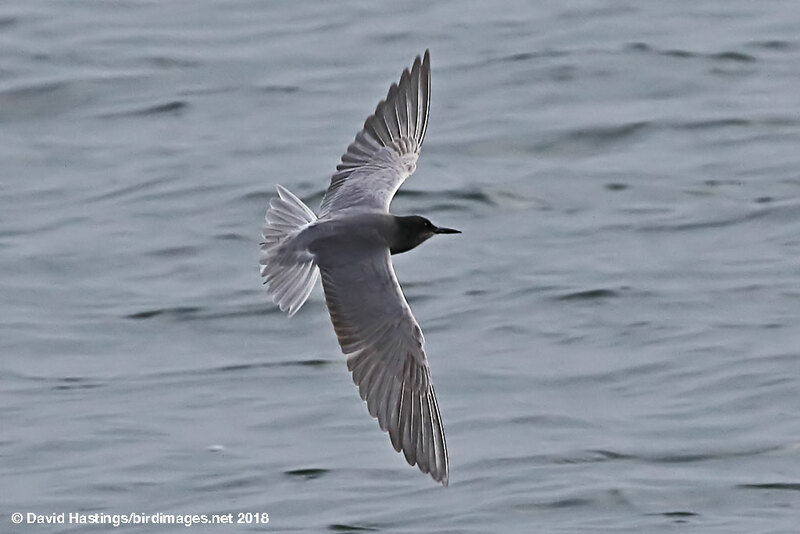 Black Terns feed by dipping down and picking food from the surface of water. It has Green status on the UK list.